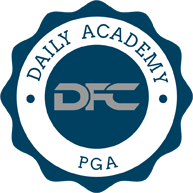 In this installment of The Daily Fantasy Cafe PGA Academy, we're talking PGA GPP strategy to help you win money in those massive tournaments that have become a weekly occurrence across the industry. If you aren't familiar with it, GPP stands for 'Guaranteed Prize Pool,' meaning the tournament will play regardless of how many entries are confirmed before lineups lock. The strategy side of playing PGA GPP's isn't much different than the other major sports, but there are some nuances separate to golf that need to be understood. On Draftkings, you have to choose six players with an average salary of $8,333 to work with. In cash games, I almost always take a balanced approach, trying to pick six golfers I think will make the cut. In GPP's, you need to alter you thinking slightly. In these massive tournaments you need to try and select players you think can actually win the tournament, or at least have a top 10 -20 finish. You're also going to need some sleepers, or lesser owned players, that you've targeted to play well that others won't have in their rosters. Again, very similar to DFS as a whole, but with some quirks. Researching for cash games and GPP's is very similar, as you're looking to find the best value for your salary cap spending money. The best place to start is by going through all the Draftkings player pricing, and comparing that to Vegas “Odds to win outright" and “Odds to finish top 10." Week to week, Draftkings is very inconsistent with their pricing, so you'll be about to find discrepancies all the time. For example, if you see a player you like in the $6,500 range with way higher odds to win that tournament than golfers priced similarly, this is a situation to exploit that discrepancy. When playing large field tournaments, predicting ownership is a key step in making your lineup decisions. This process isn't an exact science, and you're really just making educated guesses, but there are a couple ways to make those guesses more accurate. First, use your knowledge you've obtained by comparing golfer salaries to Vegas odds. If there is a major discrepancy that is even more than usual, there's a good chance that player will have high ownership. 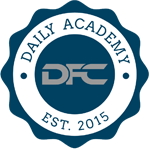 Also, pay attention to what players are being touted at the bigger DFS outlets across the internet, as there is a good chance those players won't go overlooked by the masses. For golf, I won't totally fade a player just because they could be heavily owned. If they meet all my statistical criteria and come at a good price, I'm going to roster them with confidence, and play them with players that I think may have lower ownership. Once you've made your ownership guesses, you can start formulating your strategy. For golfers you're really confident in, you want to create an 'overweight' position on them. That means you want to have them on a higher percentage of your teams than what you predict their ownership would be. If you think they will be 10-15% owned, put them on 25-30% of your teams. The same logic applies with golfers you decide you want to fade. If you aren't fading a golfer entirely, but want to roster them a small amount in case your stance on them is wrong, you'll want to own them on a lower percentage of your teams than your projected tournament ownership percentage. The last trick in predicting ownership is to pay attention to the household names. Not everybody is as informed as you, and may be playing PGA DFS for the first time. These players are more likely to choose a golfer they know about because it's the easy, safe decision to make in their eyes. Now that you've done your research and identified who you like, it's time to start building those lineups. Your next step is to label the players you really like as your 'core players," who will be the focus of the majority of your lineups. Start building lineups with the same 2-5 players, and fill the remaining spots with other golfers you like, or think will be under owned. Always keep track of how many lineups you've used a golfer in, as you can easily lose track along the way. I recommend using an Excel spreadsheet, but by hand also works, just as long as you're keeping tabs on your ownership levels. There is no full proof strategy to winning a large GPP, but there are a few I've tried and had some success with. A 'stars n scrubs' approach is always a fun way to construct a lineup. This is where you select 1-3 of the higher priced golfers, and play them with some of lower priced golfers. This strategy is great because you have some golfers at the top of your lineup you can trust to make the cut more often and not, while also differentiating your lineups with lesser known commodities at the bottom. Another trick that helps you set unique lineups is to look at the players in and around the same price range as the expected popular plays. Say there is a player that you and everybody else love at $8,500, but you see a player with some upside at $8,400 you think could have a surprisingly good result. Most people, especially if they are only playing minimal lineup, will just take the popular golfer at $8,500. If that golfer does end up being highly owned and doesn't play well, you've created any advantage over the rest of the field for yourself. 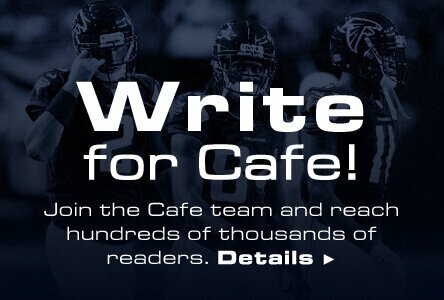 Finally, a great way to ensure you've got a unique lineup in a GPP is to not spend to the salary cap limit. If the pricing is very soft, with lots of golfers undervalued, leaving $500+ leftover isn't a bad strategy, and almost guarantees nobody else will have the same lineup as you, increasing your odds a the big prize.